Not really. It's just that lately I look at my pictures that I've taken that I found cute or funny, and think, Wow I can't post that on Facebook! I have a friend that is responsible for choosing public art in Omaha, Nebraska. 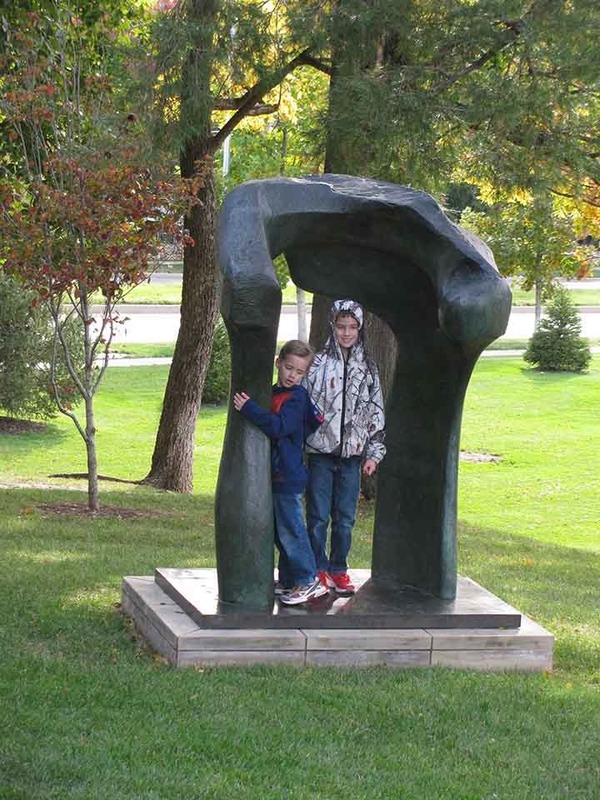 When we were in Kansas City I shot every photo I could with my kids interacting with the public art. Much later on I thought, Maybe I shouldn't post this? They shouldn't be climbing on that. But it's public, so why not? To be honest when we were in college we did the same things my kids were doing without a second thought. So here's my shameful photos. I still think they are fun. Go ahead and judge me. If you thought those were bad, then you will think this next one is worse. We were at a gymnastic type place with some of our friends that live in KC. It was free, it was fun, and it was nice giving the boys time to work off some energy after being in the car for 2 1/2 hours. I was having an in depth conversation with one of our friends. I looked over at our kids, and saw Isaak rolling over Mica's body with a giant foam cylinder. Instead of stopping them from getting hurt, I grabbed my camera to shoot a photo. In my mind I figured they'd start crying, or screaming if someone got hurt. Instead they were laughing, and having fun. You only live once right? There you go I'm not perfect. But we sure know how to have fun. The pics do look fun. 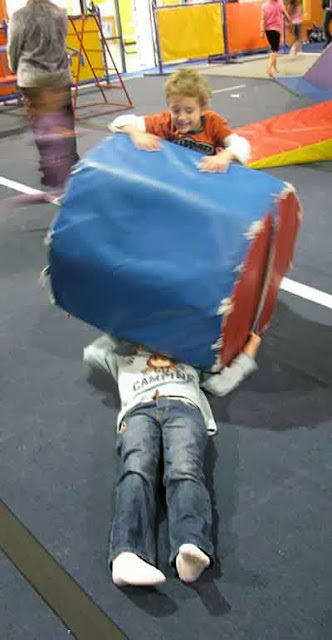 I think it's good you let the kids play. People get different types of enjoyment out of art and your boys are just experiencing art in a practical manner. 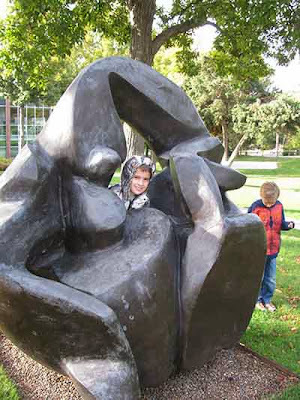 I never give a second thought to the kids climbing on public art. Unless there is a sign specifically asking to stay off, I assume they know know kids will want to climb on it. Allison is in gymnastics. I don't think any gymnastics mom would give a second thought to what Isaak and Mica are doing. It's a daily occurrence for kids to do that stuff with the rollers and cheese mats lol. I'd say you are a fun mom. I can't stand those uptight moms who are constantly harping on their kids to sit still and behave. Let em have fun, I say! Hahhaha... You have to get the pictures while you can. Worry later about them rolling over each other with that foam thing. If that's the worst they do, then you've got nothing to worry about it. 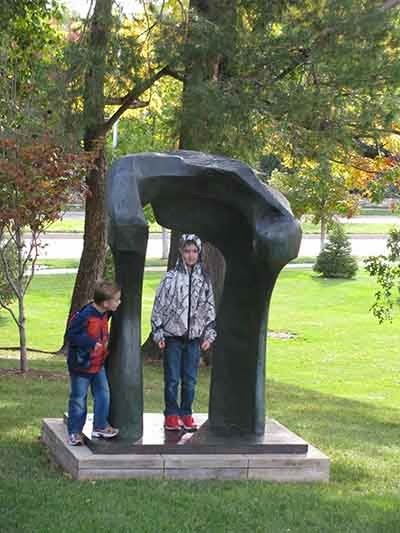 Sometimes it's okay to let kiddos play around, as long as they're not damaging anything. Boys will be boys!